The path to stardom in the NFL is never linear, especially in the case of Minnesota Vikings wide receiver Adam Thielen. Now the NFL’s leading receiver, Thielen’s life nearly led him into a career of selling dental equipment. 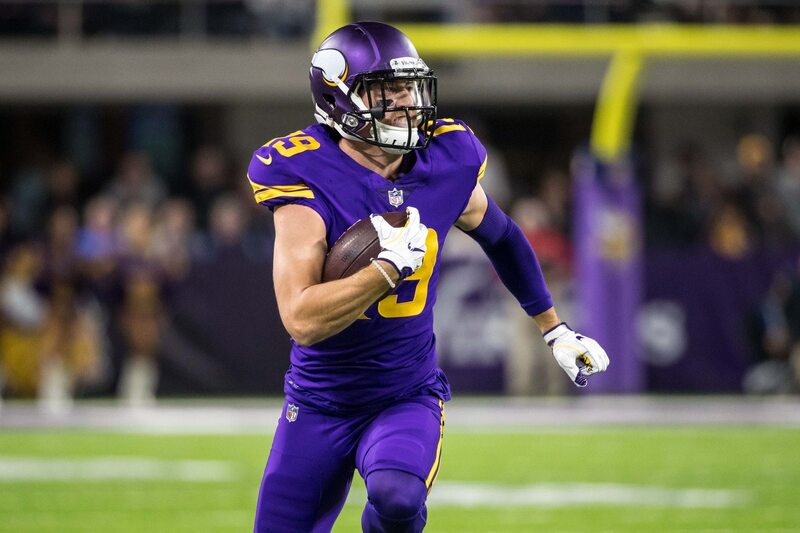 According to The Washington Post’s Adam Kilgore, Thielen started thinking about different career paths towards the end of his time in college. While training for the NFL, he interviewed for a job selling dental equipment. Even at that moment, Thielen still dreamed of playing professional football. According to The Washington Post, he told the interviewer his dream job would be “playing in the NFL” and they both laughed at the remark. Just a few years later, Thielen has gone far beyond even his wildest dreams. He leads the NFL in receptions (58), receiving yards (712), targets (79) and has scored four touchdowns this season. He is quickly building his resume to finish the season as an All-Pro receiver and emerging as one of the best offensive players in the NFL. It may only be a matter of time before Thielen receives a monster contract extension and makes more money in a month than he would have made in a year selling dental equipment.